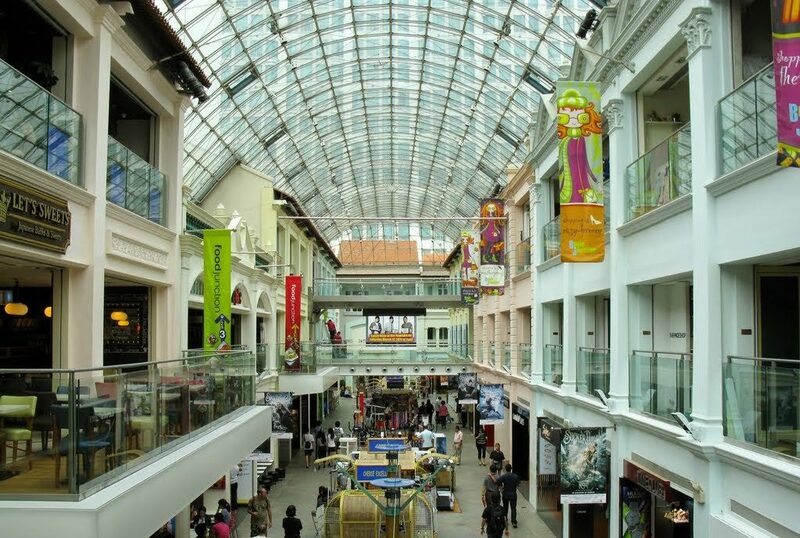 If you have just moved to the country, you might have noticed the plethora of malls that occupies just about every corner of Singapore. Apart from the bustling and lively malls, the country is also home to countless boutiques, vintage stores and warehouses that have a mega sale every now and then. Needless to say, Singapore lives up to its name of being the one-stop shopping destination that will often have what you are looking for. The Moon is a cosy place that functions as an event space, bookstore and a café. The all-in-one venue presents a wide range of genres, including illustrated cooking books, modern literature and introspective non-fiction for avid readers. The combination of charming wood furniture, warm lighting and inviting plush cushions are nothing short of welcoming. Designed to provide a restful respite from the hustle and bustle of daily life, this place is one of the best places in Singapore for an afternoon read with a cuppa. With the commitment to provide a safe and inclusive space for readers, The Moon showcases a carefully curated selection of books. The establishment extends this practice in their menu as well, ensuring that they accommodate all dietary restrictions and choices. Additionally, the café extension and event space, which is located on the third floor are typically used for private bookings as well as free community events. Built on the idea— for the common good, and goods for the common folk, the local brand strives to bring furniture that is both thoughtfully designed and manufactured in a way that is sustainable. More than that, the establishment produces furniture that resonates with the “common folk” so as to invoke a better appreciation for good product design and craftsmanship. Their focus on sustainability isn’t just about protecting the environment but also ensuring the survivability of the industry. The establishment’s vision is to embark on a collaborative effort that births a greater common good that can be achieved and experienced by producers, designers, consumers and craftsmen. The store houses furniture produced by small brands and craftsman such as Everyday Studio, Fred and Bobo, and VIJ5. If you are looking for distinct and environmentally sustainable pieces to furnish your home with, check out Studiohiji’s Net series (from $340). The Jakarta-based design studio integrates strands of rattan core into its pieces, which results in attractive and lightweight furniture that is built to last. Much like The Moon, this place wears many hats and attracts a large and diverse clientele. Functioning as a café, florist, friendly lifestyle store, nail salon, the Social Space is a multi-concept store seeks to promote awareness for sustainability with more accessibility to conscious living. With the aim to feature high-quality, eco and socially-conscious, and fair-trade products that influence a change in the community and the planet. For instance, their tea bar and cafe sell wholesome food and beverages sourced from eco-friendly and fair-trade producers. At the same time, the establishment also features the Refillery, which encourages the visitors and patrons to bring their own reusable bottles and refill household cleaners and personal care products. The best part? All the products are made from 100% natural ingredients. So you don’t have to feel guilty when purchasing something new and contemporary for your house. If you have an affinity for all things vintage, then this place is a must-visit. The homeware emporium houses memorabilia that is sourced from various trade routes of Singapore’s colonial past. In fact, they have gone so far as to incorporate the style and tradition of the East India Company into their establishment. The homeware emporium sells everything from furniture and paintings to even trinkets that will serve as perfect gift ideas and souvenirs. Inspired by Sir Stamford Raffles and the East India Trading Company, the furniture they sell are sourced from India, China and Indonesia and ranges from rattan balcony sets to vibrant consoles. They also have a unique collection of original vintage framed artworks, photos and whimsical items that can’t be found anywhere else in the country. Even if you are not looking for something to buy, you can always take a moment to soak up the atmosphere. The place is furnished with bronze statues, plantation chairs, pineapple lamps, vintage keys, an old pair of binoculars and grandfather clocks to bring out the ambience of Singapore’s colourful past. There’s also a dedicated corner that pays homage to Singapore’s yesteryears with its nostalgia-induced Sinalco trays and Kickapoo ads. Despite its modest size, Singapore is home to countless establishments that sell a diverse range of products. Whether you are looking for distinct, antique collections that reflect Singapore’s yesteryears or simply looking to contribute to the sustainability of the planet, there’s something for everyone in these stores.